Some scientists believe that humans have wisdom teeth because our ancestors had such rough diets and needed a little extra chewing power. As society and dietary choices advanced, however, those third molars became unnecessary. Because of their rather useless nature and the potential problems they can cause, many people choose to have these teeth removed. If you’re thinking about getting wisdom teeth extraction in Manahawkin, read on to find out what you should know before you commit to the procedure. 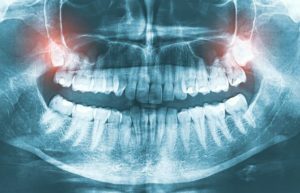 Is Wisdom Teeth Extraction Necessary? For some people, the wisdom teeth erupt normally and can serve as a functional part of a healthy smile. However, it’s common for these third molars to cause trouble. They may only partially erupt from the gums, increasing your risk of infection. They could also cause overcrowding in the mouth. Another problem is that it can be tricky to floss around your wisdom teeth, and not getting that area clean can lead to decay in your wisdom teeth and the teeth next to them. If your wisdom teeth are already causing you problems, it’s a good idea to get them removed. On the other hand, if they aren’t causing any issues, whether you get them extracted is entirely up to you. Some choose to have them extracted purely as a precautionary measure to prevent problems in the future. What Is Involved in Wisdom Teeth Extraction? For some people, wisdom teeth extraction is fairly simple. The dentist may be able to use local anesthesia and just “pull” the teeth. More often, however, removing these third molars is a complex process. The oral surgeon may have to remove bone around the wisdom teeth in order to access them or break the teeth into pieces to get them out. If this is necessary in your case, don’t worry. You won’t feel anything during the surgery, and your dentist will give you tips and medication to manage any discomfort you may feel afterward. Can Any Dentist Extract Wisdom Teeth? Quite a few dentists offer wisdom teeth extraction, but that doesn’t mean they’re all equally qualified to perform the procedure. Therefore, you should examine the credentials of any oral surgeon whom you’re thinking about using. What level of education do they have? Have they handled cases that are similar to yours? Also, pay attention to your gut instinct. If a dentist seems like they are pushing too hard for you to have a certain treatment or you just don’t feel comfortable with them, it may be wise for you to take your search elsewhere. Thinking about getting your third molars removed? Now you’re “wiser” about wisdom teeth extraction in Manahawkin! Dr. Robert Young has earned awards for his surgical abilities, and he has helped countless individual to solve and prevent problems with their wisdom teeth. He is one of the top dentists in the area and would be pleased to talk to you about your third molars. Why not contact us at 609-597-1830 to schedule a consultation?